Tyler Tibbetts was sentenced to serve 5 years of a 10-year sentence for stealing a Dexter police cruiser while handcuffed last year and leading police on a high-speed car chase. He pleaded guilty to multiple charges stemming from the May 11, 2018 chase. A 23-year-old LaGrange man who stole two separate vehicles last spring — a Dexter police cruiser and a Toyota Celica belonging to a veteran of the Iraq War — and led authorities on a high-speed chase that ended when he crashed the Celica will serve five years of a 10-year sentence. 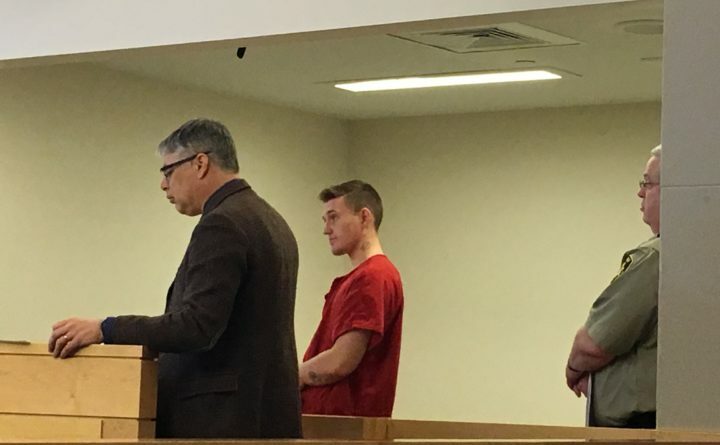 Appearing at the Penobscot Judicial Center on Wednesday afternoon, Tyler Tibbetts pleaded guilty to a half-dozen felony charges, including one that stemmed from an unrelated case in which he stole a vehicle in January 2018.